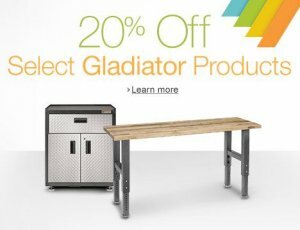 25% Off Select Gladiator Products. From January 1, 2015, to January 31, 2015, get 25% off select Gladiator products when shipped and sold by Amazon. Prices as marked.